Stand-up comedy in New England has been a mainstay for years. While more associated with the clubs in Los Angeles, Chicago or New York, many great stand-ups got their start right here in New England. Local comedy had its own feel and has found a home in the heart of audiences. Whether it's Amy Poehler, Dennis Leary, Jay Leno, Lenny Clarke, Conan O'Brien, Steve Carell or Steven Wright, there are plenty of great comics that are from right here. Some stayed, some moved on, but you never know who the next generation will be.. So, you want to know what improv comedy is. It is rare now that someone has never seen Stand-Up Comedy. The most common forms are seen regularly on TV, including the opening monologues of such greats as Jay Leno, David Letterman, Conan O'Brien, etc. Likewise, stage performances of one man controlling an audience with their comedy is usually "Stand-Up". This includes Dave Chapelle, Dennis Leary, Robin Williams, Richard Pryor, George Carlin, Elayne Boosler, Rita Rudner, Kathleen Madigan, Laurie Kilmartin, Judy Tenuta, and many, many more. One man, or woman, is on stage with a microphone and telling jokes and humorous stories in front of an audience. Literally, he is standing up and doing comedy. Different clubs have different standards for lengths of material. Some open mic nights have as little as 1 minute for a performance. 5 or 10 minutes is more common. Generally a comedian should have 3 five minute sets prepared. These sets should be able to be performed back-to-back to make a 10 or 15 minute set. 20 or 30 minute sets are for more experienced stand-up comedians. Of course, if you have that experience, you probably aren't asking this question. The simple answer is yes, you can. That doesn't mean that you will be able to do it well, though. A journey of 1,000 miles begins with a single step. The journey to comedy is more complex. You need to find your voice. What are you trying to say with your comedy? You need to find material. What strikes you as funny? Keep a notebook and write everything down. You need to find your angle. How are you going to approach your audience? You need to find a club. Where are you going to find an audience to practice with? That means open mics and as many spots as you can get. You need to fail...a lot. You learn more through your failures than your successes. You need to critique yourself. Video yourself when you can and review what went wrong as well as what went right. You need self-confidence. The audience smells blood and will not be impressed by you if you aren't impressed by yourself. What is an Open Mic? An open mic is an opportunity for unscheduled performers to get up and present their material in front of a live audience. This means that the mic (short for microphone) is open to those who ask. These nights have become extremely popular and most stand-up clubs offer open mic nights. If you would like to perform on an open mic night, you should ask in advance as to the rules, etc., regarding the open mic night. Often you have to reserve your spot or they draw from a hat at the club. Many of the greats of comedy got their start at open mic nights. Many others use the chance to try material that they will later use in front of their paying audiences. 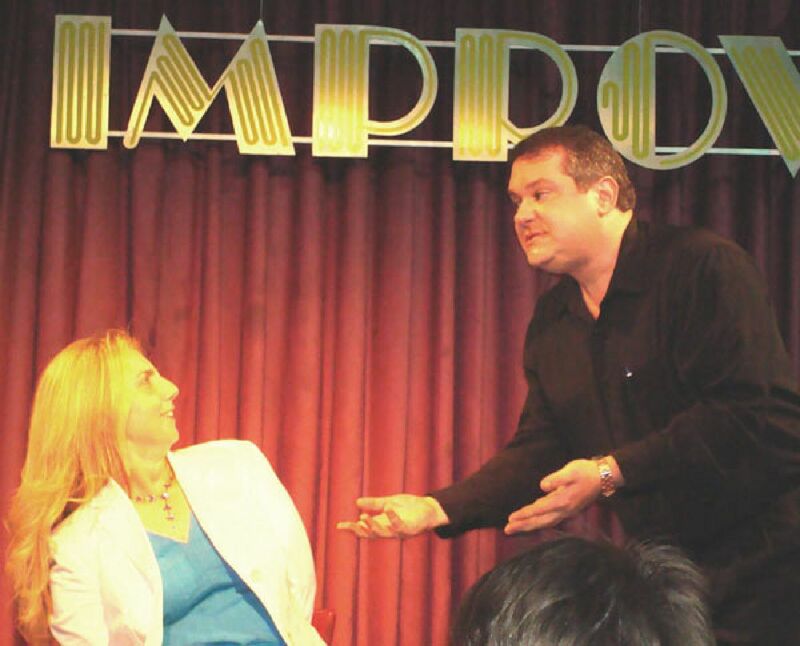 Many stand-up clubs have programs that allow you to learn how to perform, generate material and will put you in front of an audience at the end of the classes. Simply contact your local comedy club and ask them to help you find a teacher that can help take you to the next level.